Committed video gamers from Birmingham technology giant Box are gearing up to burn the midnight gaming oil to raise money for people with disabilities. 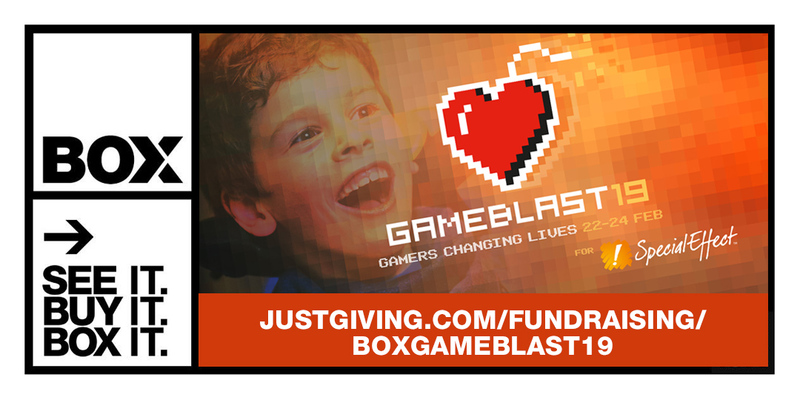 Around 20 staff at the Minworth-based business will be playing video games continuously for 24 hours as part of GameBlast19, the UK's largest gaming marathon weekend. This will be the fourth year Box has taken part in the event, having previously raised more than £2,000 for the charity SpecialEffect, which uses technology to help people with disabilities enjoy video games. The game-a-thon takes place February 23-24. Rodney Critchlow, store manager at Box, said: "We're really excited to be taking part in GameBlast19. A lot of us are keen gamers, but playing for 24 hours is still a big challenge. "SpecialEffect is a fantastic charity which uses things like modified joypads and eye-control technology to enable disabled people to play games. It means they don't have to just sit there and watch their friend or sibling having fun. "We're hoping to raise at least £1,000." Box.co.uk sells an extensive range of technology and computing products through its specialist website and retail shop, including laptops, desktop PCs, phones and tablets, components, monitors and printers. The business was founded by Mark Jordan in 1996 and today is the UK's leading technology e-commerce business, employing over 100 people and turning over £42 million.